We Are ESL – I’m happy to spend my day with great colleagues, providing great services in a great company! It took me some time to find a goal in my life, at least a professional and educational one. I tried political science at university and, even though I was amazed by how many things I could learn in a day, I didn’t know where these studies could lead me. So I decided to try something else: why not a language stay abroad with ESL? Had I known on my way to Brisbane that the company I’d put my trust in to organize this adventure would be my future employer, I wouldn’t have believed it. 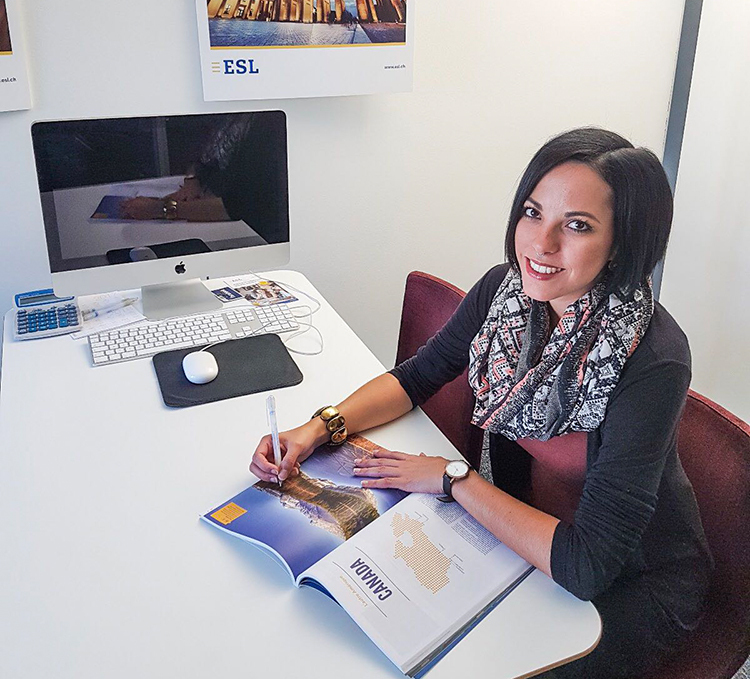 After finishing my marketing studies, I was ready to fully embrace the world of work, and by chance, the Lausanne office was looking for a Language Travel Consultant. And this is where it all started, 5 years ago. I’m now Business Developer for Switzerland, but it’s been a long journey until I could reach this position in the company. After one amazing year during which I learnt a lot in the Lausanne office, I made up my mind and went back to school to pass my Junior Sales Manager certificate while working at the same time; such a hectic and challenging time which lasted almost 2 years. ESL has been supportive during all my studies, allowing me to lower my working time and schedule my days in a way I could be on time for my evening courses. When I finally got my diploma, I knew that I still had one big weakness, which could clearly slow my carrier here in Switzerland: my German skills. Why not undertake a second stay abroad to learn this tough language once for all? I was about to leave the company because I knew that I’d need at least 6 months to feel confident in German and I couldn’t imagine asking my employer for a 6 months break. Well, ESL did even better than that: I worked part time from the Berlin office and I improved my German skills while taking morning courses in one of our partner schools. When I came back from Berlin, I was offered this position, which didn’t exist before, and it’s as exciting as challenging to develop this new role and everything that goes with it. A lot of people complain because they feel that their tasks and daily efforts they put at work are worthless. Luckily, I’m happy to wake up everyday and know that I will spend my day with great colleagues, providing great services in a great company. The main purpose of ESL is to guide people and help them achieve their dreams, and I find this kind of service extremely rewarding. Furthermore, I know that a language stay abroad goes far beyond the process of learning English, German or even Korean. It’s an amazing experience where cultures, souls and people cross to create this magical feeling I often hear from my clients, that “it’s been the best moment of my life” feeling. I can pretty much relate to that statement based on my very own experience. ESL constantly feeds itself from people who tasted that “melting pot”, and this neverending passion combined to hard work has led the company to celebrate 20 years. The key for their success can be summed up in three words: human-oriented company. And it makes it all!